If you need to contact us please do so by emailing us at [email protected] or you can give us a call at 850-797-8579 and we will be happy to discuss any questions or inquiries you may have! 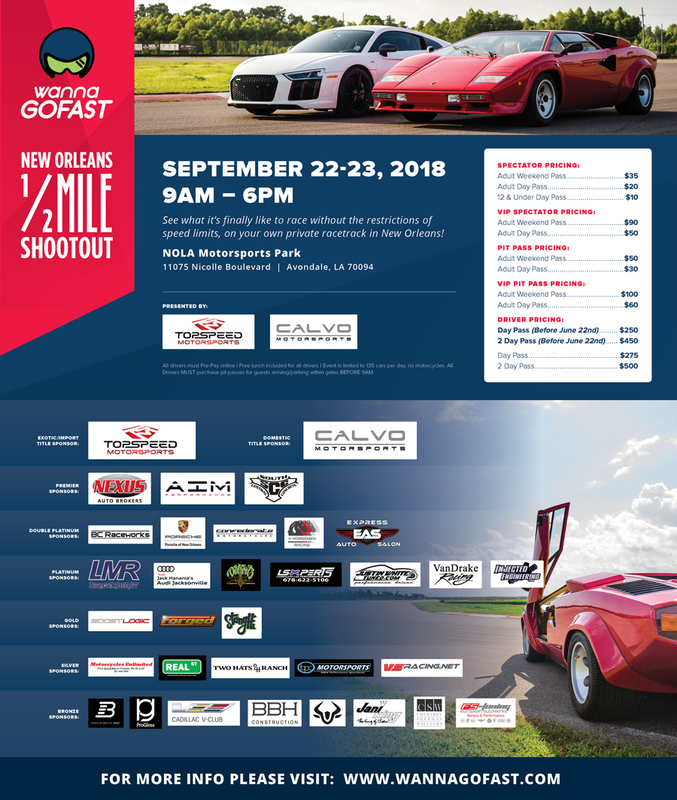 Quick Reply: NOLA wannaGOFAST 1/2 Mile Event Sept. 22nd & 23rd 2018! !